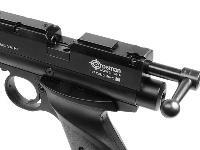 The factory installed bolt handle is located on the left side of the pistol for the comfort of right-handed shooters. 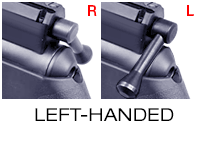 PLEASE NOTE: If you shoot left-handed, consider purchasing the Pyramyd Air Special Service to move the factory installed bolt handle to the right side for customized left-handed pistol shooting. The new Silhouette PCP pistol has the same trigger as the Benjamin Marauder, which is really nice! If you shoot metallic silhouettes, this pistol has been approved by IHMSA (International Handgun Metallic Silhouette Association). 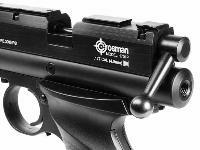 It'll give you a distinct advantage over other pistols in its class. 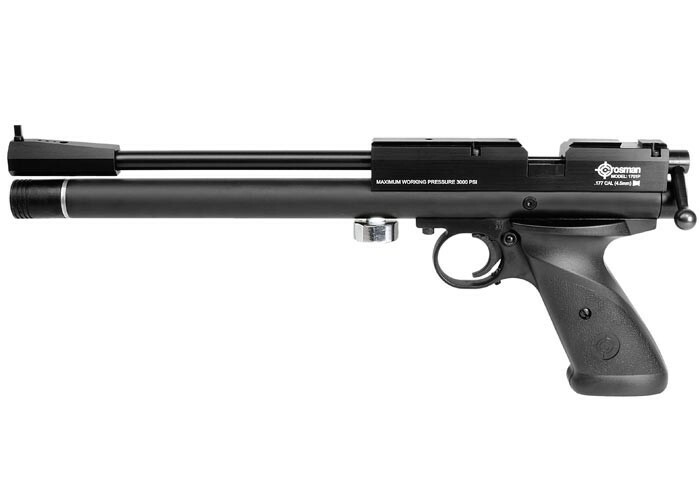 The new version of the air pistol also has slightly different lettering on the receiver and the barrel is now free-floated. Things I liked: Good shot count (I bored the transfer port, so I get an easy 30 but was getting many more out-,of-the-box). Accurate. Good trigger. I've shot mine for two years and remain very pleased. Things I would have changed: Moderator would be nice. 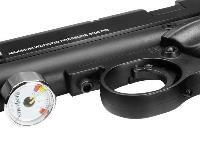 What others should know: You'll need a rear sight, red dot, or scope. Things I liked: What's not to like? Now one of the most enjoyable and used gun in my collection now. 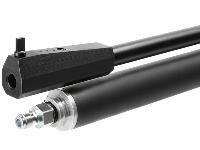 Easy to fill, number of shots per fill and accuracy accuracy accuracy! Imho the trigger was nice right out of the box. Things I would have changed: Grips They are a little narrow for average to large hands. I'm having a tendency to over thumb and a little tricky to get a good set on trigger. Maybe selling with a case. That's just a wish. What others should know: Mine loves JSB Exact 8.44. Purchased with the Williams rear notched site. Installed and within a few clicks was leaving single hole at 10 meters. I also ordered with Gunslynger silhouettes great combo. I ran thru 300+ rounds on second day of owning. And within a week ordered 1000 more. Easy pistol to just pickup every night after work to fire at least 20 rounds a night in basement. Things I liked: Since I bought the pistol for informal target shooting and plinking, I like the light weight. The pistol is very accurate. 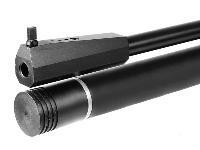 It comes with a 5 shots at 10 yds target that is pretty much only one hole. The hole is not clean cut like one that has been shot with wadcutter pellets and a cardboard backer. There is no mention of the pellets used which would be useful information. Also, the pressure gauge shows minimum pressure and makes me wonder if the pistol was only shot at that pressure. Things I would have changed: State the pellet used for the test target and the air pressure or velocity. 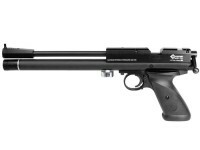 What others should know: One of the better pistols for the money. 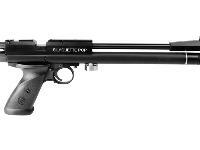 I have an AirArms Alpha pistol and this gun is somewhat comparable at a much lower price. Not very loud, perfect for indoors shooting. Does anyone have a source for custom grips? 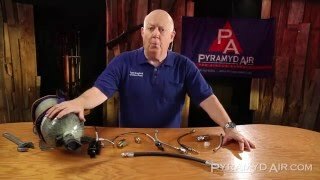 How much air can the tank hold in CC?